Looking for a Montessori teacher? You can advertise for Montessori kaiako for your centre or school. Looking for a Montessori Position? 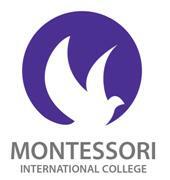 You can post a ‘Position Wanted’ advert to find Montessori employment opportunities in New Zealand for FREE. Non MANZ schools advertising costs $1.70 plus GST per word for 3 months. Overseas schools advertising costs are $1.95 per word for 3 months. MANZ member school advertisements are discounted to 70 cents plus GST per word for 3 months. In addition, MANZ member schools receive a free shortened version of the web advertisement in Montessori Voices and e-zine Informed.